We’ve surely read some epic success tales about people who have taken great risks in their lives and overcame all the obstacles. But is it always wise to blindly follow your heart and make decisions without considering the consequences? You need to consider all the advantages and disadvantages of a task, before you are exposed to the chances of any losses. When you are deciding whether to try a new venture, you need to make sure whether the odds are on your side. Don’t invest into a field where you are not an expert. 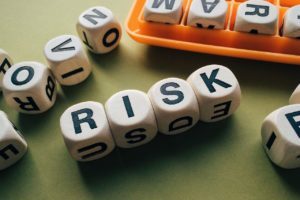 Risks are an essential part of growth and true entrepreneurship, but not all risks are the same, and not all are simple. You need to think it through. You need to be able to weigh the pros against the cons; and if you think the pros are ample, you may want to take up the venture, and set out a plan to reduce the possible losses. After a careful analysis of your current situation and future possibilities, you would have to make a list of your goals. You have to have something to work for, allotting proper time to get the job done and realistic deadlines. Just because the balloon is expanding you cannot keep blowing in more air; at some point the balloon will burst. You need to realize where to stop. Too many people risk their progress by doing too much exercise. If you ran 2 miles today, does not mean you can run 4 miles the very next day. You have to gradually increase your training. Don’t do extra cardio because you think it will help; in most cases it will break down your body causing back pains and cramps all over legs. You have to get out of your comfort zone, but you should keep in mind that anything more you add to your routine should be carefully analyzed; seeking appropriate advices form your physicians and nutritionists. The most important thing you should keep in mind is taking responsibilities for your actions. You are responsible for gathering your thoughts, organizing your team, and hitting the target with maximum efficiency. You just have to make sure your risks make absolute sense; once you are completely sure, you relax yourself and aim. You have to remember that sometimes things don’t turn out the way you planned, but you have to accept your mistakes, acknowledge the setbacks and move on. Surround yourself with people who are smart and creative. Get the best council you can, which can support you during your best as well your worst. Get outside help wherever appropriate. Research. Delegate. Don’t get caught up with minor projects that hold you back from the big time. Don’t take a stupid risk, learn the unknown, and tame the uncertainty. Don’t be afraid to give up the good for the great, but don’t end up losing both, only because you made a mistake that could have been prevented.